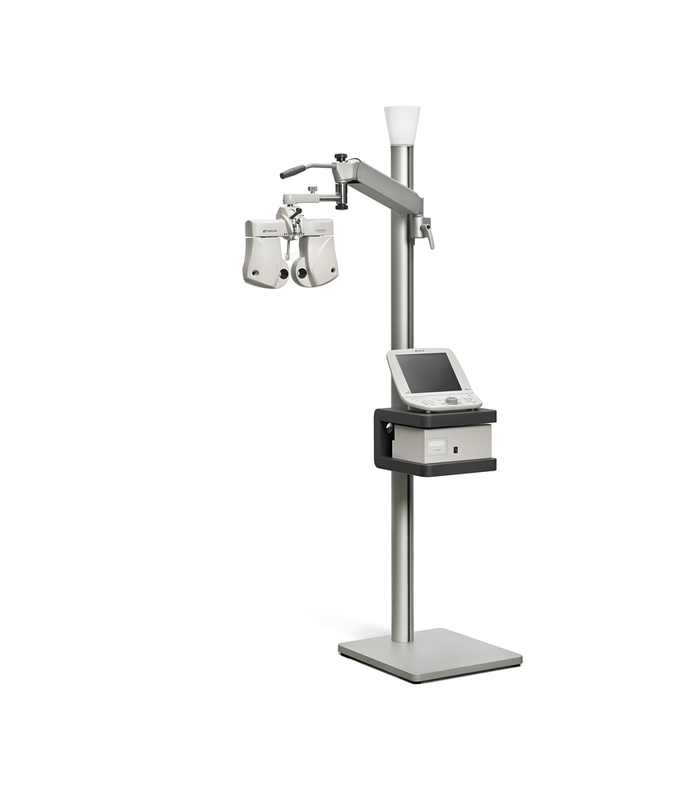 The FS-1 has a small footprint and accepts several models of phoropter holders such as balanced phoropter arm or a parallel phoropter arm as well as a chart projector bracket and a convenient reading light. The up-light fits seamlessly in the FS-1 design providing a homogenous room light. 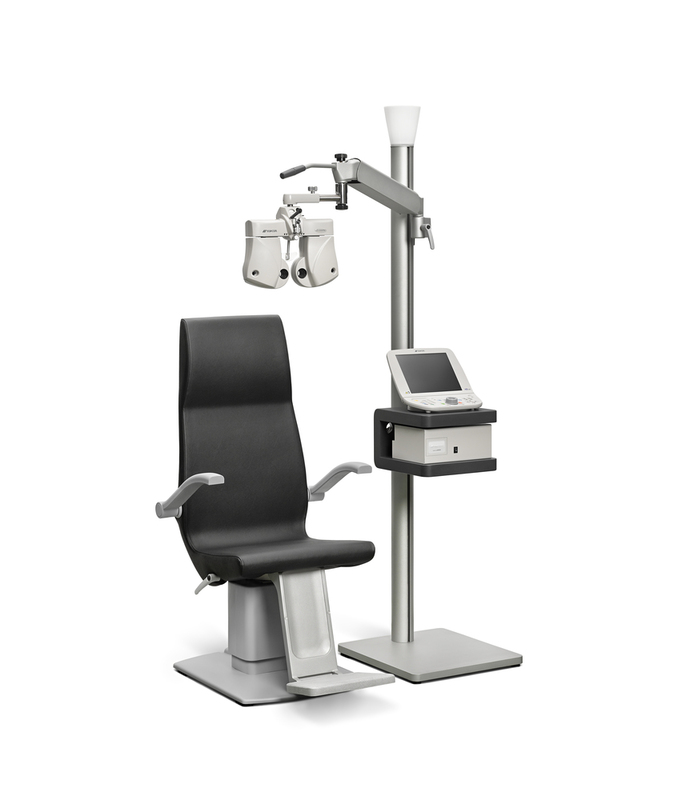 The FS-1 can be combined with Topcon’s OC-6 ophthalmic chair or one of the IS-1 Series ophthalmic chairs, such as the OC-10 or OC-12. 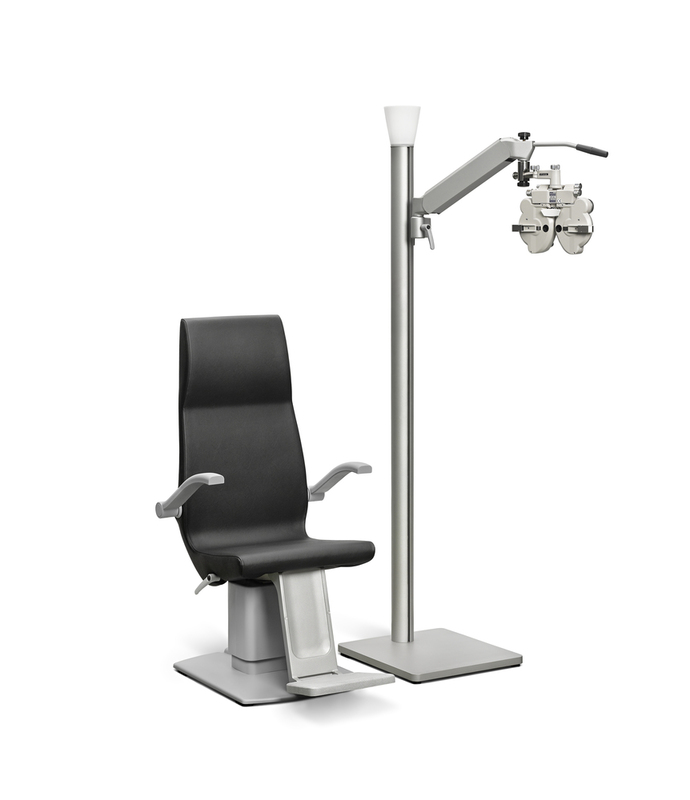 The baseplate with integrated wheels permits an easy displacement of the ophthalmic chair for easy wheelchair accessibility. The optional dark grey cabinet accommodates Topcon’s CV-5000 controller KB-50S as well as the CV-5000 power supply for easy print-out access.